Welcome to the 463rd edition of my long running series. Next week starts the Madness which is an annual October that I take part in and is really my favorite part of October. For years now, I have been a part of this contest and continue to be referred to as "The King of the Loophole". This is because there are always names of people in the acting industry that fit the theme and they do not have to be horror so I have managed to make movies like ROCKY, TITANIC, THE GODFATHER PART 2, BLUE CHIPS, and many others count in a Halloween oriented contest. This year, I do not plan to disappoint and look forward to cleaning out a lot of my Netflix queue. Flirting With Disaster (1996): David O. Russell wrote and directed this comedy. Ben Stiller stars as Mel whose life is just getting together with a wife, played by Patricia Arquette, and an unnamed four month old son. He does not want to name his son until he finds his roots as in his birth parents as he was adopted. He takes his wife and son as well as a student psychologist named Tina, played by Tea Leoni, who does it for free and films their journey. Tina shows that she is not the most competent person for the job in things like clerical errors towards perspective parents. This journey also forces Mel and his wife Nancy to reexamine their marriage. Mary Tyler Moore, George Segal, Alan Alda, Lily Tomlin, Richard Jenkins, Josh Brolin, Celia Weston and many others co-star on this road film. This is a pretty fun road movie with well-written characters. I really did not know about this movie until recently and believe this is a pretty underrated Ben Stiller movie. There are some pretty funny moments in this film and is available on Instant Netflix. 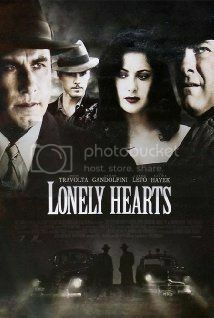 Lonely Hearts (2006): Todd Robinson wrote and directed this movie based on a true story. John Travolta and James Gandolfini star as detectives Elmer Robinson and Charles Hilderbrandt. They are investigating murders done by Martha Beck and Raymond Fernandez, played by Salma Hayek and Jared Leto who are known as the Lonely Hearts Killers. They managed to lure people in through personal ads and then kill them. Hayek is very ruthless in this movie. Travolta plays a detective who is also having trouble at home as a single father with a teen son and whose wife left them. The director is the grandson of the real-life Elmer Robinson and draws from the stories passed down to him. Scott Caan and Laura Dern co-star in this film. This movie gives really good attention to both the detectives and criminals and is another one I feel falls below the radar. I thought the performances were really good and liked the narration from Gandolfini. This is available on Instant Netflix. 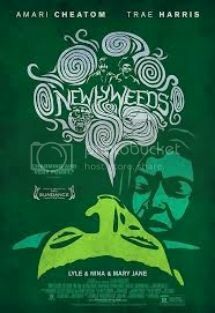 Newlyweeds (2013): Shaka King directed this independent stoner drama. Amari Cheatom and Trae Harris star as married couple Lyle and Nina. They love each other but love pot just as much, especially Lyle. It also shows Lyle's job as a repo man clouds his judgment when high like confiscating a couch from the wrong person. It is a rather gritty urban story of a relationship gone bad. This was pretty well acted and is worth a look. This is available on Instant Netflix. Desert Killer (1952): This is my older short film for the week. This centers around a five year old Native American boy named Surefoot whose father has died and must take over sheep herding duties and cannot afford a sheepdog. Things become difficult when a mountain lion is there and must turn to a neighboring rancher to help rid the lion and save the sheep. It is not great but a good short showing community helping each other out. This is ten minutes long. Coming Home (1978): Hal Ashby directed this film which takes place during the Vietnam War. Jane Fonda stars as Sally whose husband Bob, played by Bruce Dern, is fighting in Vietnam. To pass the time, Sally volunteers at a veteran hospital where she meets paralyzed and bitter veteran Luke, played well by Jon Voight, who knew Sally from grade school. As they get to know each other more, they start to fall in love making Sally have to choose what is best for her life as she prepares for the return of her husband. Robert Carradine also co-stars in this film. Fonda and Voight are great together and is a good movie showing the effects of the Vietnam War. The ending to me was a bit weird so message me if you want to explain it as I don't want spoilers on here. This is available on the free movie section on Comcast On-Demand. 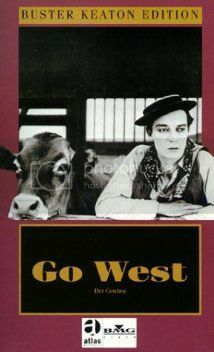 Go West (1925): This is my silent comedy of the week which stars silent comedy legend Buster Keaton. Keaton directed and co-wrote this movie where he stars as a drifter who cannot find a job in his Indiana town so goes to New York and gets a job on a ranch. He forms a friendship with a cow named Brown Eyes but is in an uproar when she is one of the cows being sent to the stockyard. He then does whatever possible to save Brown Eyes and in very comical ways. This is a good western comedy entry and has a really good climax. This is available on Instant Netflix and is a must for silent film buffs. 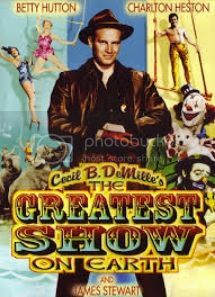 The Greatest Show on Earth (1952): Cecil B. DeMille directed this circus film. Charlton Heston stars as Brad Braden who is the circus manager and puts the Great Sebastian, played by Cornel Wilde, in the lead trapeze slot over his girlfriend Holly, played by Betty Hutton, who has worked very hard. Holly and Sebastian form more of a partnership where they try to one up each other in more dangerous stunts then most are used to seeing. Sebastian also tries to pursue Holly. 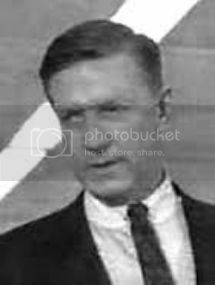 There are also subplots involving the secret past of the veteran clown Buttons, played by James Stewart, and racketeers trying to move in on the circus. Stewart was my favorite as the clown. Dorothy Lamour, Gloria Grahame, Henry Wilcoxan, Lawrence Tierney, and many others co-star in this film. There are a lot of other actual circus acts in this movie. This also takes us into getting prepared for a circus which I also really liked. This is available on Instant Netflix and Amazon Prime. Blackthorn (2011): Mateo Gil directs this western. 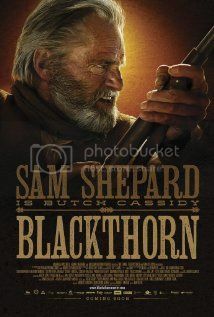 Sam Shepard stars as James Blackthorn which is really an alias for Butch Cassidy who is said to have survived the shootout and went to Bolivia where this takes place. He now leads a quiet life until an encounter with a young robber named Eduardo Apodaca, played by Eduardo Noriega, puts him in a situation where he loses money and the horse to get him home so teams up with him to rob a mine but then finds that Eduardo is not who he claims to be. In flashbacks, he is seen with the Sundance Kid and Etta, played by Padraic Delaney and Dominique McElligott, in their plans to move to Bolivia. Shepard is great as Blackthorn. He also sang a lot of the songs on the soundtrack and does a good job like the song AIN'T NO GRAVE. Stephen Rea also co-stars as a film as someone from Cassidy's past. This was a very well-shot and well acted western where Shepard comes through very well as an aging Butch Cassidy. A good double feature might be BUTCH CASSIDY AND THE SUNDANCE KID followed by this one. This is available on Instant Netflix. The Legend of Hell House (1973): John Hough directed this horror film based on the novel by Richard Matheson. 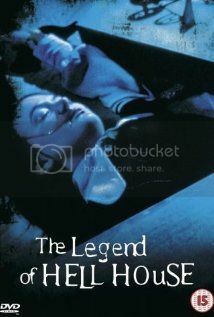 A team that consists of a physicist named Dr. Barret, played by Clive Revill, his wife Ann, played by Gayle Hunnicut, a psychic named Florence, played by Pamela Franklin, and the survivor of the previous visit Benjamin, are sent to a house that is said to be haunted and those who visit either are killed or go mad. They are sent to prove/disprove survival after death. They must team up to solve the mystery of this hell house. When they are there, a lot of strange occurrences take place. This is a pretty good atmospheric haunted house film with the four actors doing a good job of carrying the movie. I thought I'd do a pre-October horror film and was really worth a watch. This is available on Instant Netflix. The Year of the Ox (2012): I end this week with another short film which features my Facebook Friend and fellow Madness teammate Kelsey Zukowski. Rob Sepulveda directed and co-wrote this short film that takes place in the Chinatown district in Chicago. Rival gangs must investigate the disappearance of another member and abduct his girlfriend, played by Zukowski, and get a little more than they bargained for. This is a pretty decent horror short. Kelsey has a website at http://kelseyzukowski.com where this is available among other trailers and short films she has done. She is an actress on the rise and specializes in the horror genre. The website also has some really good photos from modeling and from film as well as her own reviews on horror movies so when you are done reading this, maybe take a little time and visit her website where she also has info for contacting her. Well, that is it for this week. Tell me what you like and dislike. Stay tuned for next week which so far includes Angela Lansbury, Werner Herzog, Jennifer Connelly, Glenn Ford, Jamie Lee Curtis, Vincent Price, and many others. 12 Years a Slave (2013): This is the first of two movies that we picked out at Redbox and watched at her house along with our friend John. This is something that both of us had seen but I believe John had not and she wanted to revisit this one that was quite possibly the best of its year. 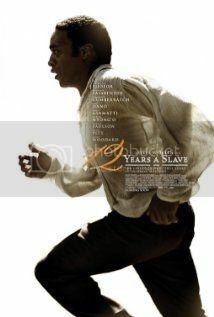 Steve McQueen, yes a different one, directed this film based on Solomon Northup who is played very well by Chiwetel Ejiofor. Northup was a free black man in pre-Civil War New York but was abducted and given a different identity being passed off as a slave. He does what he can to stay alive and sane in hopes of one day seeing his family while dealing with a ruthless slave owner, played by Michael Fassbender. Another great performance came from Lupita Nyong'o who plays slave Patsey and makes her feature film debut and a really good one. Quvanzhane Walls, Paul Giamatti, Benedict Cumberbatch, Paul Dano, Alfre Woodard, Garret Dillahunt, Brad Pitt, and many others have parts in this film. This is a very powerful film which all of us really enjoyed. It has some very disturbing scenes but very realistic. It will be hard for anyone doing a movie on slavery to match this one which is one that really deserves a viewing. 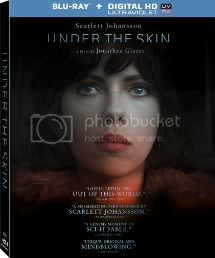 Under the Skin (2013): This was our second viewing and none of us had seen this one. We were going through movies on Redbox and Shera came across this one that I actually had not really heard of and saw that Scarlett Johannson was in it so I agreed to get it. After watching the first one, I reminded both of them that we probably will not like it the way we liked the first movie watched so reminded that we needed to keep an open mind. Jonathan Glazer directed what is referred to as a science fiction art film. Scarlett stars as an alien seductress who is preying upon men in Scotland where she takes them to a place where they follow her but end up walking into an abyss full of liquid where the bodies vanish. Through this she begins to experience more humanity. This is not for everyone. Shera felt it was too slow which I can understand why people would think that. For me, I will not say it was my favorite but it did keep my interest. I really liked the strange imagery of the film. This is also a film that has rather limited dialogue and is rather abstract and leaving the viewer to interpret their beliefs of what happened. It is based on a novel by Michel Faber and has been billed as being loosely based on the novel so if that is something you really like it may not be for you. This is a pretty different sci-fi film which I found was worth the dollar from Redbox.